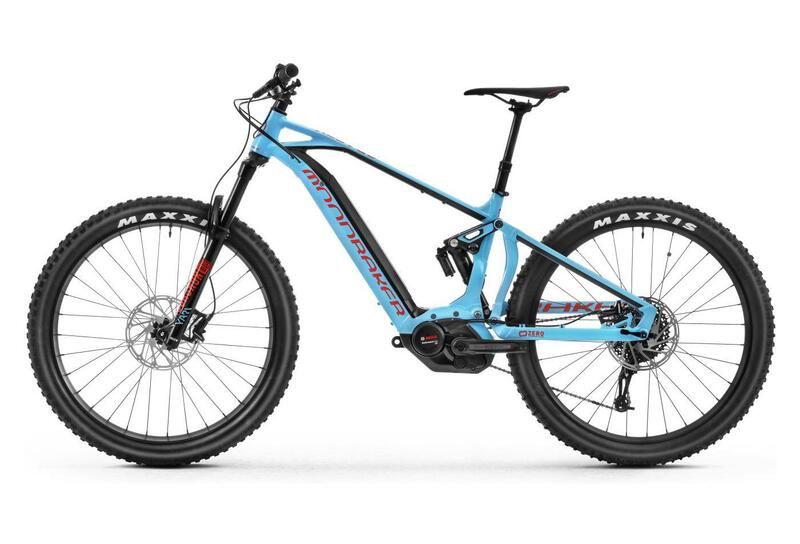 The Mondraker E-Crafty XR + is a versatile model designed for All-mountain practice. 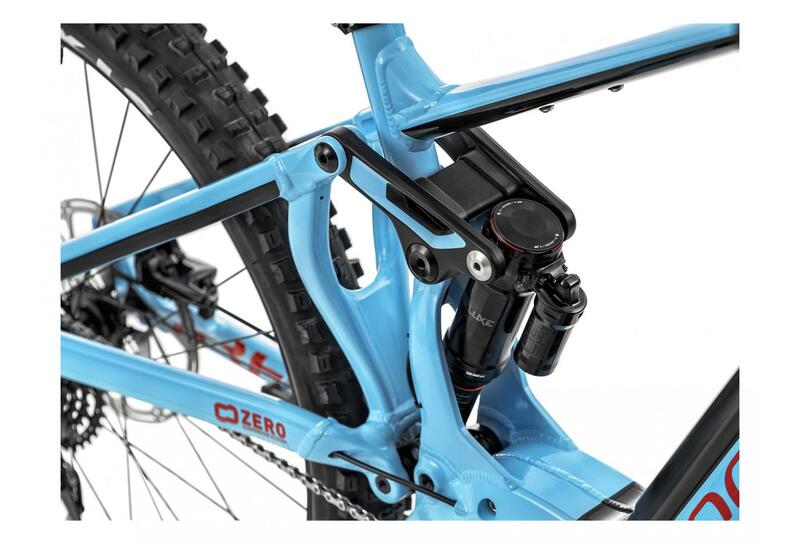 Its aluminum frame benefits from the Stealth Evo Zero technology which gives it a rigidity gain and a sleek look, but also the Zero Suspension System, a virtual pivot suspension system that keeps pedaling good for a long time. better performance. 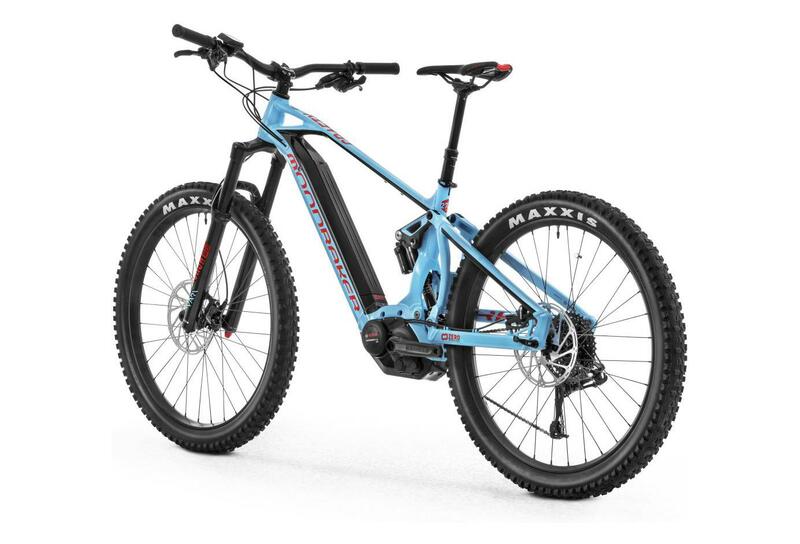 This E-Crafty XR + model is equipped with the Sram NX 1x11-speed group which offers versatility whatever the terrain and a smooth and precise gear change. This power assisted model has a design and integration to the range for 2018 the battery has been integrated into the diagonal tube for maximum visual clarity. Fox DPX2 shock absorber, LV EVOL Performance 3-position lever 205 x 62.5 mm. Fork RockShox Yari 27'5 RC, 160 mm, pivot conique, axe de 15x110mm Boost, Réglages: détente, réglage de compression à haute/basse vitesse jusqu'au blocage, précontrainte à air. Rearshox RockShox Superdeluxe R, support 205 x 62,5 mm. Cassette Sunrace CSMCS3, 11-42 dents, 10 vitesses. Chain Sram PC-1031 10 vitesses. Crankset Système Bosch Performance Line CX, batterie Bosch PowerTube 500 Wh installée sur le tube, ordinateur de bord Purion. 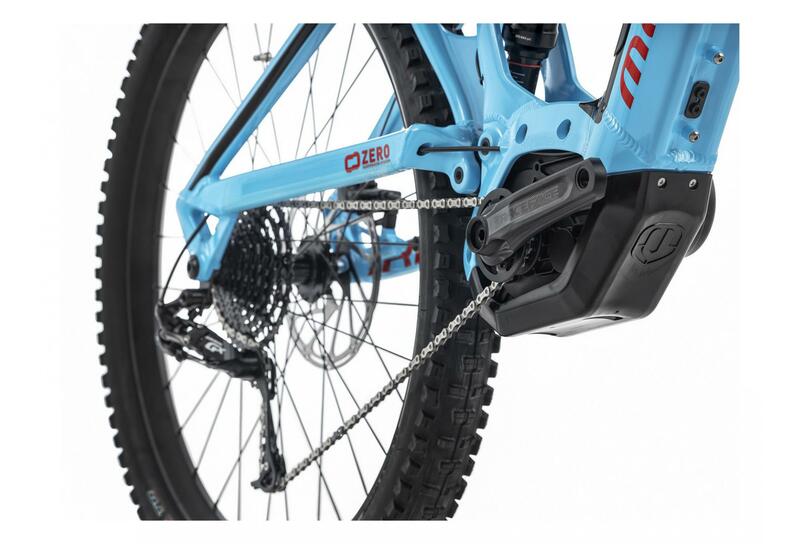 Pédalier RaceFace Aeffect ebike 16 dents. Wheelset Moyeux MDK GW 15x110/12x148mm, roulements à cartouche étanches, 6 vis./ Jantes MDK-EP1 27´5+ TLR ASY, 35mm internal width, Tubeless Ready, 32 spokes. 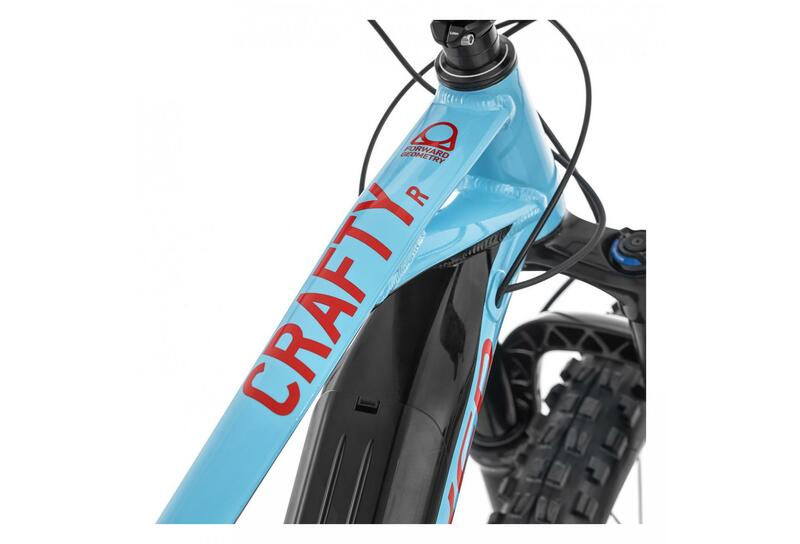 Handlebar Conception personnalisée Mondraker 1.0 780 mm. Headset Onoff Saturn conique pour tube de direction 1-1/8" -> 1/5". Roulement supérieur 41 x 30,2 x 7 x 45° x 45°, inférieur 51,9 x 40 x 8 x 45° x 45°. 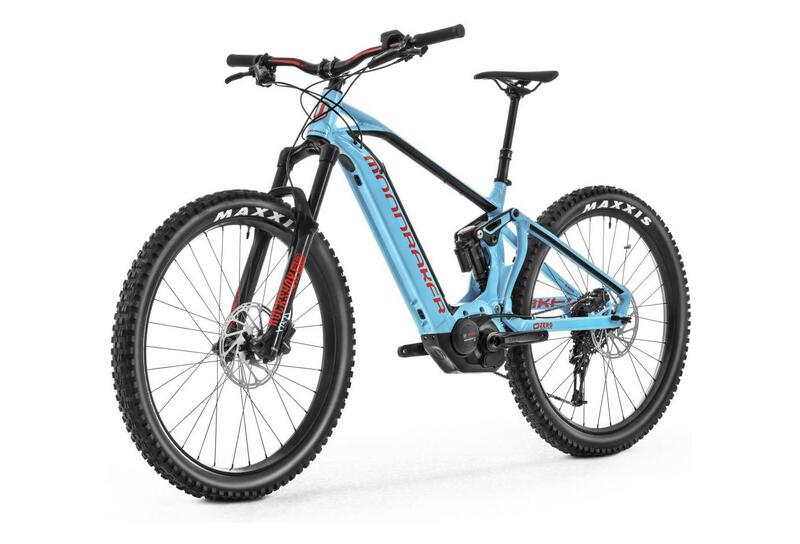 Saddle Conception exclusive Mondraker E-mtb. Seatpost Onoff Pija Dropper 31,6 mm, guide-flexible interne. Taille S : 337 x 100 mm, taille M/L/XL : 387 x 125 mm.